What a great night we had. Approximately 120 people joined us at the Sangkabalayan Center at Baguio Cathedral for good food, good music, and good fellowship. Several provided music for this event. 1. 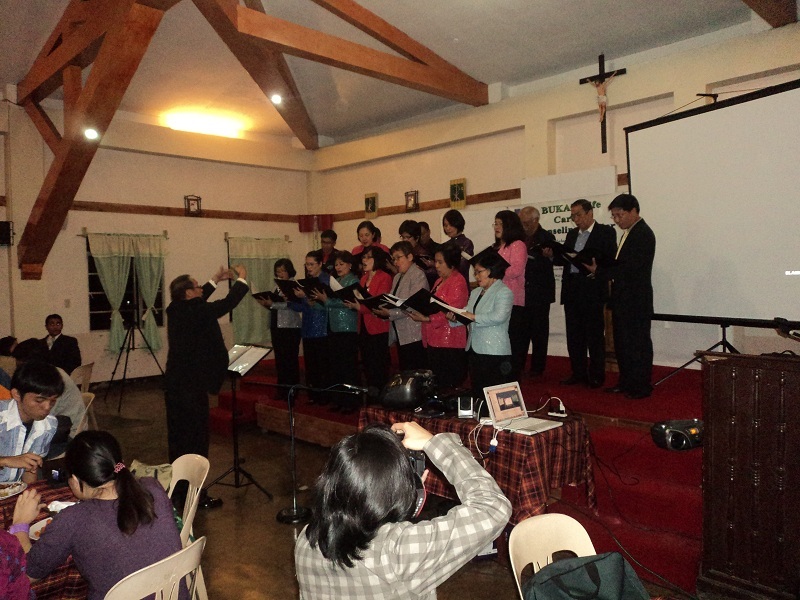 UCCP (Baguio) Christian Couples Choir. They sang opening and closing songs as well as a primary presentation of 5 popular hymns/Christian songs. 2. Brevarian Singers. A trio of young ladies and guitarist that provided two country gospel songs. 3. Singing Priests. Several Catholic priests sang Christian songs that they have been performing together since seminary, including one song written by a classmate who (sadly) died too young. 4. Jeffrey Linang. Local seminarian and pastor who sang two songs, one to start and and one to end the main performances. The evening ended with handing out certificates of completion for CPE batches 2 and 3A. Batch 3B (Manila) will have their graduation and certificates on November 12 in Manila. We are thankful to them. We are also thankful to the Sangkabalayan Center for allowing us to use their facilities for free (and to Rev. Fr. German Legaspi in helping us with these arrangements).